« Når skal vi lære å sette hardt mot hardt? Amerikanere er sterkt imot at man skal sende flere soldater til krigen i Afghanistan. De har blitt mer skeptisk vedrørende fremgangen der og oppdraget i seg selv. Ifølge en CNN/Opinion Research poll utført den 30. oktober til 1. november er 58 prosent imot krigen, mens 40 prosent støtter den, noe som vil si det samme som i midten av september. 56 prosent går imot å sende flere soldater, slik som Obamas generaler har bedt om, mens 42 prosent støtter det. I midten av oktober gikk 59 prosent imot å sende flere soldater, mens 39 prosent støttet det. Stopwar.ca: Is American opinion turning against the war? Krigen i Afghanistan blir kun stadig mer kritikkverdig og upopulær hos folk flest, noe som viser seg i de ulike undersøkelse som har blitt holdt. Syv amerikanske antikrigskoalisjoner og organisasjoner har nå et opprop for ulike aksjoner før og etter Obama bestemmer seg for å ekspandere Afghanistan wkrigen. Bestemmelsen er forventet å komme i løpet av få dager eller uker. Disse gruppene inkluderer: United for Peace and Justice, World Can’t Wait, Veterans For Peace, National Assembly, Military Families Speak Out, A.N.S.W.E.R Coalition og National Campaign for Nonviolent Resistance. Any day will likely come the sickening news that President Obama has decided to escalate the war in Afghanistan. Here in the U.S. and no doubt around the world people will react in pain, anger and sorrow, knowing what tragedy and suffering will follow. As tragic as it was to see Lyndon Johnson’s «Great Society» crash and burn on the rocks of the Vietnam war, the stakes are much higher now. The U.S. economy today still teeters at the abyss. 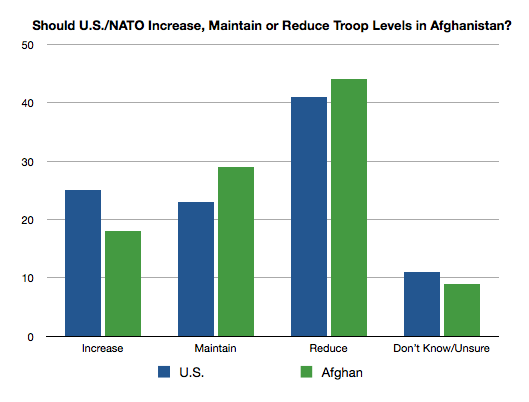 Escalating the Afghanistan war will not just be the ruin of desperately needed domestic programs but may very possibly destroy the entire economy. 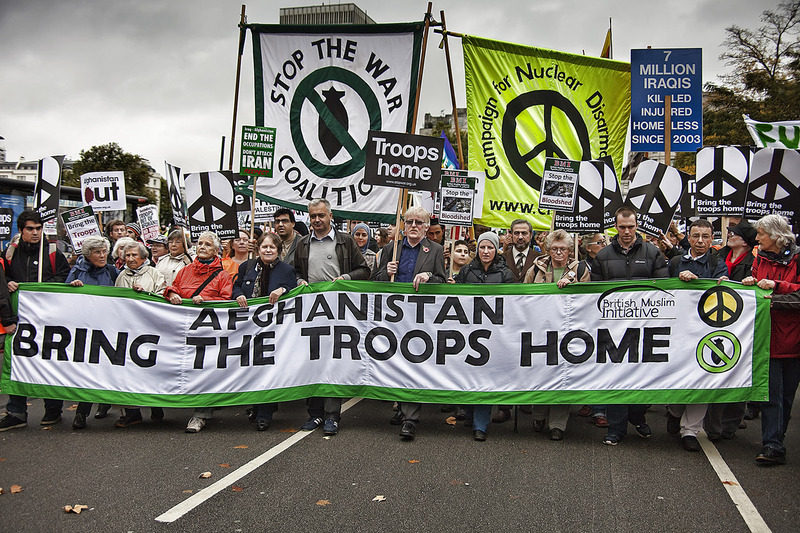 1) Within the next few days, ideally prior to any decision from President Obama, conduct any of a wide range of local activities — from calling Members of Congress to nonviolent civil resistance and everything in between — demonstrating our opposition to and disgust with any decision to widen the war in Afghanistan. 2) On the day immediately following an announcement to escalate the war in Afghanistan, respond again in a variety of ways. To show unity of purpose, we suggest local «March of the Dead» to federal buildings, local Congressional offices and government buildings of any sort. Dear Friends and Neighbors, We all hope that President Obama will resist the pressures from his generals not to send more troops to Afghanistan. Recently, Matthew Hoh, a former Marine and later a senior US official in Afghanistan, resigned in protest over the Afghan war. US Ambassador to Afghanistan Karl Eikenberry has urged President Obama not to send more troops to Afghanistan. President Obama’s decision on this is imminent. We are working with in Northern New Jersey with United for Peace and Justice, NJ Peace Action, Veterans for Peace, Chapter 21, and Military Families Speak Out, and Teaneck Peace and Justice Coalition. We hope you will forward this e-mail to your contacts so that we can make a big difference. En fredsdemonstrasjon, The Emergency Anti-Escalation Rally, også kjent som End US Wars Rally, er ved å bli organisert den 12. desember 2009 i Washington, D.C. For informasjon vedrørende demonstrasjonen gå til: www.endUSwars.org. PS: President Obamas justisdepartement, i motsetning til president Clintons som til og med nektet å anklage, arresterte Lynne Stewart og forsøker å få henne dømt i 30 år i stedet for 28 måneder. Obama nekter å la forsvarsdepartementet offentliggjøre tidligere ukjente bilder som er tatt av overgrep som er blitt utført av amerikanske soldater mot terrormistenkte fanger i Afghanistan og Irak. Han mener det kan sette USAs soldater i fare, og vil kunne vanskeliggjøre deres jobb i land som Irak og Afghanistan. Det er menneskerettighetsorganisasjonen American Civil Liberties Union (ACLU) som har krevd offentliggjøring av bildene. «Dette vil gi visuelle beviser for at mishandlingen ikke var begrenset til Abu Ghraib, slik Bush-regjeringen har hevdet, og at dette ikke var avvik», sier advokat Amrit Singh i ACLU. This entry was posted on november 23, 2009 kl. 10:13 am	and is filed under Uncategorized. You can follow any responses to this entry through the RSS 2.0 feed. You can leave a response, eller trackback from your own site.